Richard Hudnut, entrepreneur and New York City businessman, often visited the Adirondacks with his family. In 1890, he discovered the Oregon valley in the Town of Johnsburg in Warren County, and by the turn of the century had purchased 1,200 acres of land there. Although it took him 10 years to acquire the estate it was the ultimate summer home. Foxlair was located near North Creek, NY in the Adirondack’s. The main house was 270 foot long and was three stories high with a huge double staircase and a veranda across the front. Foxlair was fashioned in a French Chateau style that was favored by Richard Hudnut and was furnished with European furniture. One of Richard Hudnuts trusted employees Thomas Thornloe was superintendent for the estate as well as over 40 servants on staff, a 9-hole golf course along the valley and a host of barns for carriages and animals. The estate also had a Japanese Teahouse and a nature house built near the river. There was also a large aviary to grace the porch. Every summer during the afternoons, dancing pigeons put on a show for the famous guests who came from around the world to enjoy the great outdoors and the legendary Hudnut hospitality. In 1922, his adopted daughter Natacha Rambova went to Foxlair in seclusion during her future husband’s ongoing legal battle over his movie contract with Famous Players-Lasky. This was a family residence until 1938. After Richard Hudnuts death the estate was endowed to the Police Athletic League of NYC as a summer camp for boys. In 1970’s, Foxlair was burned to the ground IAW the Adirondack Park Agencies Master Land Use and Development Plan which required all state land to be kept in a natural state. There are still remnants of the stone foundation to be found and overgrown stone stairways. In 1951, The Carmel Myers Show, was one of the first interview style shows that was briefly on TV. The featured guest, noted soprano and film star, Jeanette MacDonald, was a friend of Miss Myers who came to prominence during the silent film era. 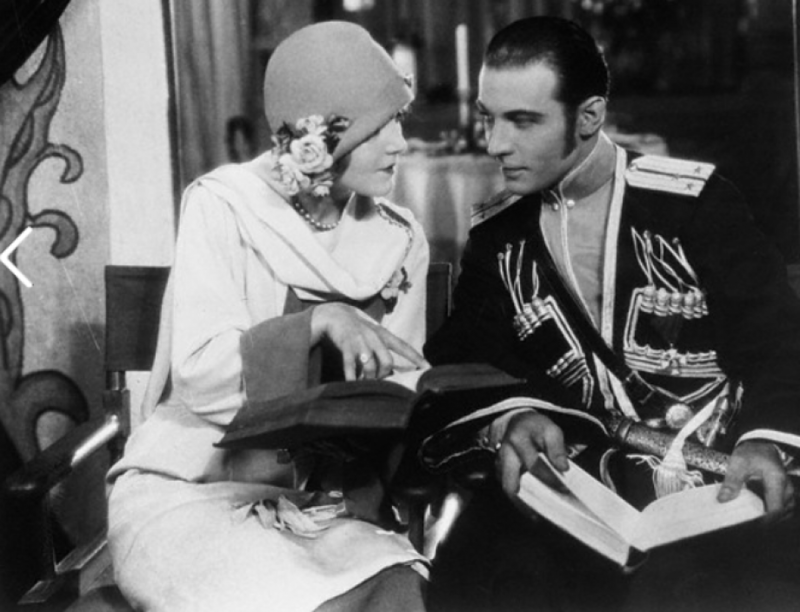 Miss Myers was a co-star of Rudolph Valentino in “A Society Sensation”. Rudolph Valentino had a hobby of hunting and often went on mountain trips with fellow star Stuart Holmes. Stuart Holmes now a movie bit player, declares “whatever he did, he did with all his heart”. Rudolph Valentino was not a woman chaser said Dev Jennings cameraman at Paramount who filmed him in “Cobra” when I knew him he was very much in love with former wife Natacha Rambova, and was very jealous of her.